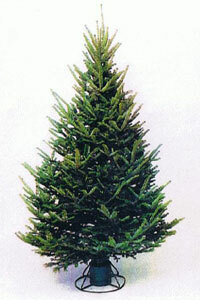 These attractive trees are grown in much the same manner as the heavy density trees, with the same foliage and taper. Trees in this grade have 60% to 80% of the stem uniformly covered, have four complete faces and no more than two minor defects. This medium density grade is becoming very popular in many areas to the price conscious yet quality concerned customer.